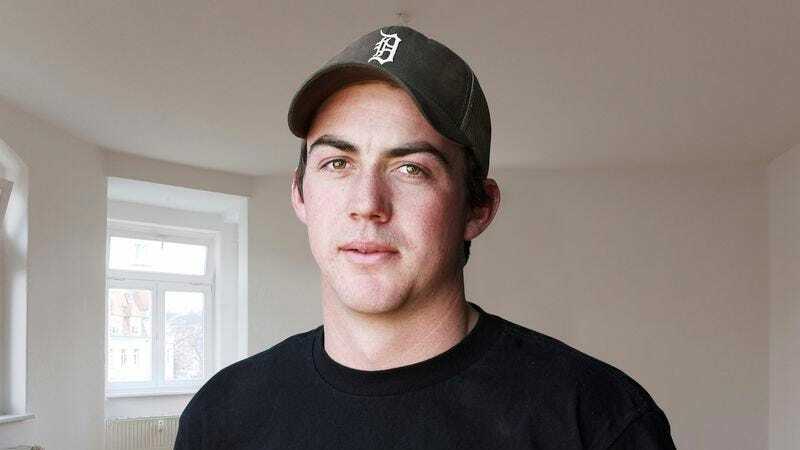 SAGINAW, MI—In a journey that will take him thousands of miles across the country, local baseball fan Patrick Lund, 32, revealed to reporters Friday that he is currently attempting to visit the home of every Major League Baseball player in a single season. “Ever since I was a little kid, I had a goal to step foot inside the personal property of each player in the majors, and this year I decided to just go on a road trip to all 750 houses in the same season,” said Lund, adding that after arriving at a player’s private residence, he always eats a hot dog and takes a picture of himself standing next to the front door. “So far, I’ve ticked off Adrian Gonzalez, David Price, Bryce Harper, Jose Altuve, Eric Hosmer, Clayton Kershaw, Matt Carpenter, and Nelson Cruz, but I’m sure I can get to all of them before October rolls around. I’ve always wanted to see the ivy leaves in James Shields’ backyard, so I’m really excited to go there next.” Lund added that while many of the homes he has already visited were incredibly beautiful, the dilapidated one-bedroom apartment of Pittsburgh Pirates pitcher A.J. Burnett was by far the worst.